Experienced teachers know that words matter, and that when writing out a lesson plan, the more specific our language is, the better for us and our students. For example, a teacher might write that students will be able to discuss the use of dynamics in Mozart’s overture from The Marriage of Figaro. This objective specifies exactly what students will be discussing. But it is not as specific as it could be. We have to really think through what students will be doing and what they will be learning. In order for students to be able to discuss anything about this overture, they must first listen to it. What will they be doing while they listen to the music? What will they be listening for? If we just ask them, “how does Mozart use dynamics,” we will probably get all kinds of answers, many of them not very helpful. For example, some student is bound to answer, “he uses dynamics to make the music get louder and softer.” Once we have this answer, we must admit that it is a correct answer to the question we asked. It even shows us that the child knows what dynamics are. But surely we wanted the student to learn more about Mozart’s use of dynamics than that. The fact that he or she did not is because we didn’t ask the right question; we didn’t ask the student a specific enough question to get a deeper answer. If we want the students to go deeper, we must ask better questions so that we are guiding them where we want them to go. In the example of the Mozart overture, we will get a better result if we decide what about dynamics we are wanting to teach. I like to teach students how dynamic make music more expressive. To get at that, I might ask the class to sing the second half of the opening theme. It is a rising melodic line that is sung with a natural crescendo to the highest note, the tonic D. I would then have them sing the same melody, but with no change in dynamics, and then have them compare how their body physically responded to each performance. Most children get excited, and feel their bodies stretch upwards as they sing louder. This physical response helps them understand that changing the dynamics changes their body and the way they respond to the music. Having them trace the dynamics contour, with arms going up on crescendos and down on diminuendos is another way of helping them realize the expressiveness of changes in dynamics. Once they have been so prepared, I can now ask them to observe how their body and emotions change when the dynamics in the music to which they are listening changes. After they have listened, the question now is, how did the way your body felt change as the music got louder? How did it change as the music got softer? What was your reaction to the sudden loud notes? Did they startle you? What was startling about those notes? 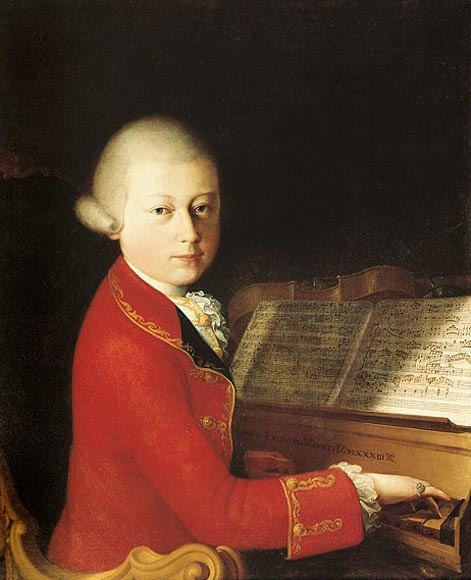 There are lots of questions that now can be used to probe their understanding of Mozart’s use of dynamics, because the students’ attention has been shifted from what Mozart composed to how each individual child responded to the music. Students are now talking about themselves at least as much as about the music, yet they are discovering something very important about music: that it is used by composers to express emotions and feelings, and that when a person listens to music like this, they can share in those feelings and emotions, and have fun doing so. When we write our lesson plans and especially our objectives, it is important to think through the process by which students will do and learn. The process will help us anticipate the students’ perspectives on being in our class, and enable us to more realistically plan what we want students to do.